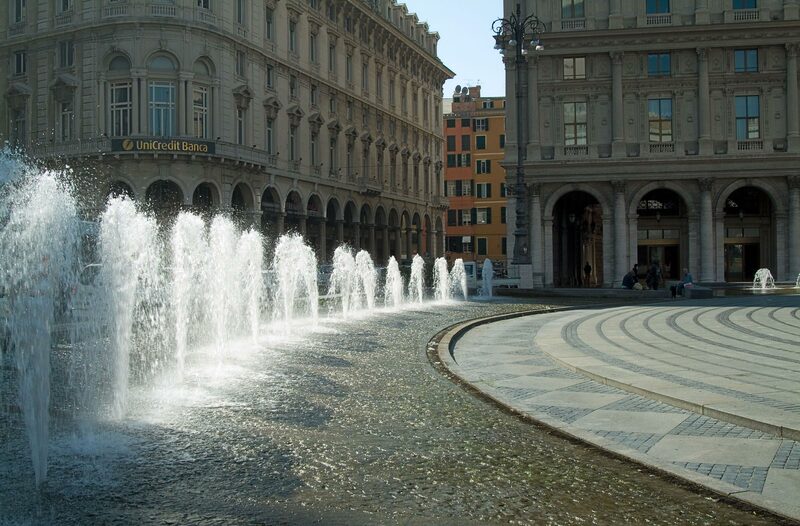 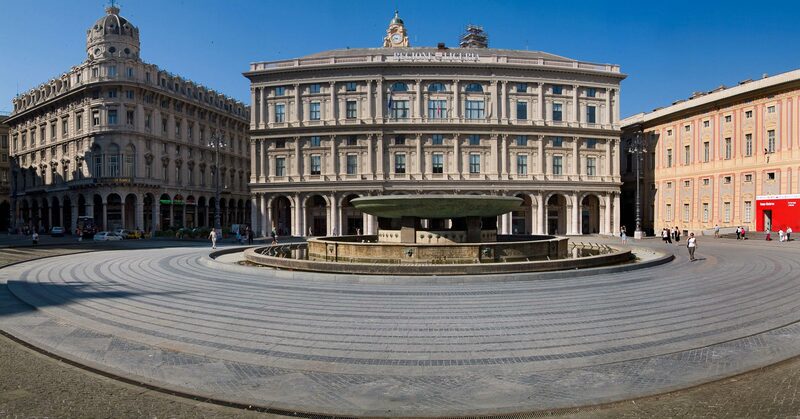 Raffaele De Ferrari Square is located in the monumental heart of the city of Genoa. 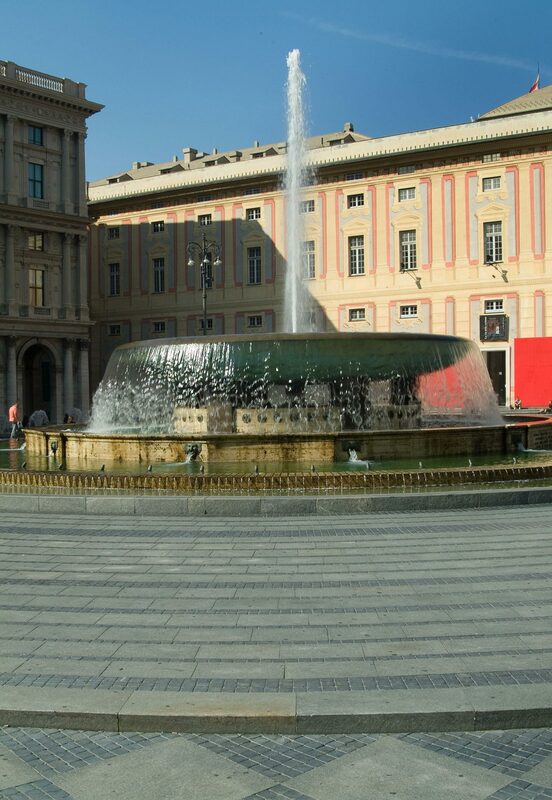 Inside it is centrally placed a large fountain that, with its water features, has a remarkable scenic value. 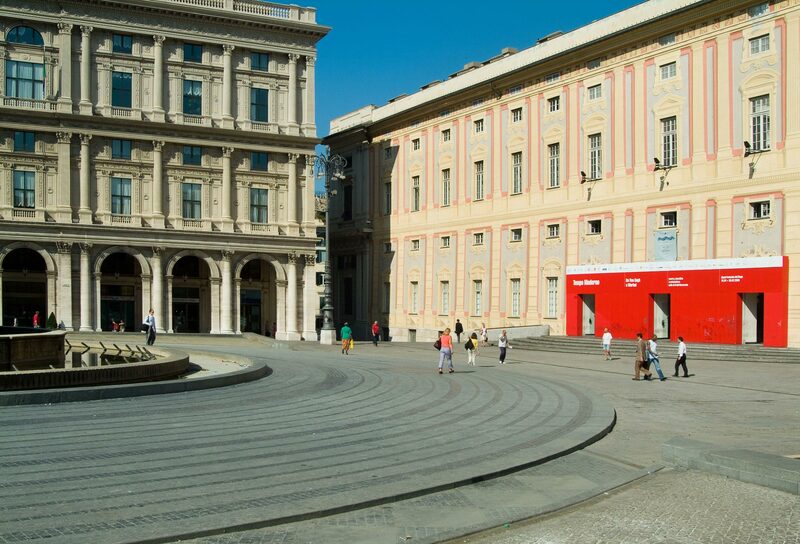 The square is separated in different areas, comprised of small square elements of Nero Assoluto and large rectangular slabs of Colombino. 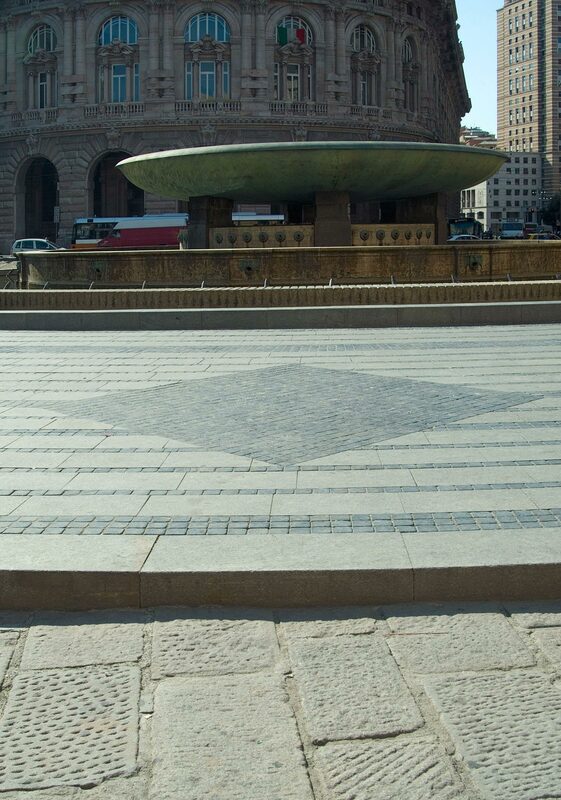 The circular monument is now protected along the two principal sides of the square with raised elements and by the stone borders and soft gradations of the level in the new project. 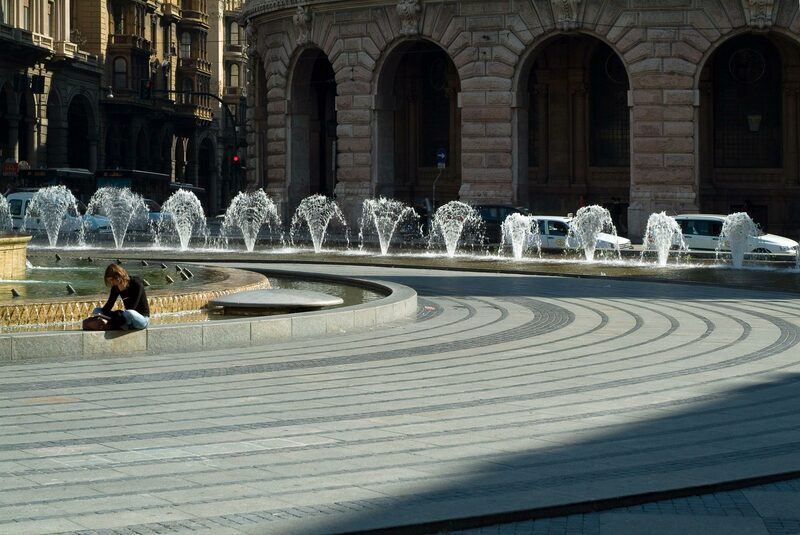 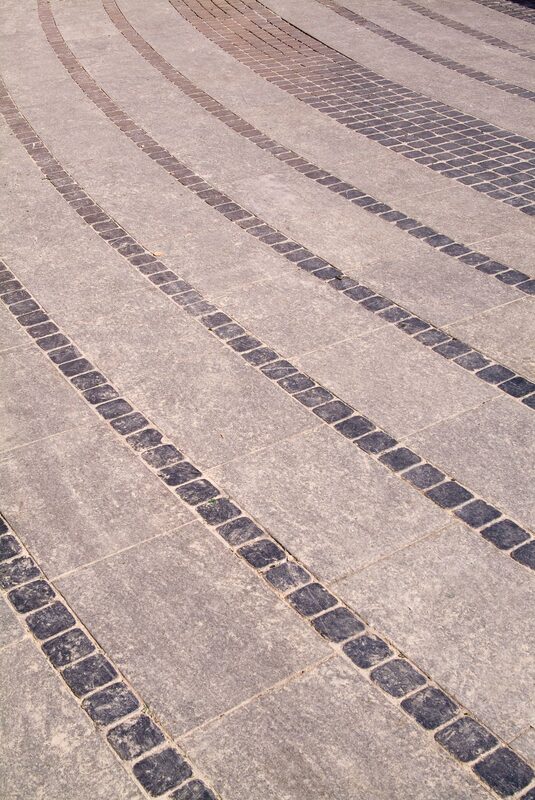 The circular form is accentuated by the repeated concentric rings which travel from the perimeter to the center and is crowned by the historical fountain where the choice of stone, the material and the color creates a perfect sense of harmony with the historical context.